Mac OS X is one of the most popular operating system (probably due to its robust and cool GUI/applications, it’s is specifically most popular in U.S) on this planet. Few days before, the Mac vs 10.7 i.e Mac OS X Lion was released and available to download/upgrade ( check the system requirements for Mac OS X Lion if you want to upgrade your Mac OS X Leopard to Mac OS X Lion ) from the App store. This post explains not only about the select best music player but also about some other good alternative media players. There are lot of music players available for Mac OS X Lion and if you want to select the best out of them, then the best answer would be – “it depends“, although some users might recommend a some cross-platform music player or any other media player which is available only for Mac platform. iTunes is a proprietary media player which basically acts as a front end of Apple’s QuickTime media player. 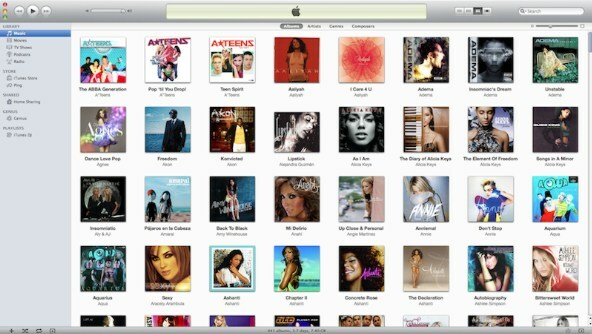 iTunes is used to play and organize music files on Desktop Computer (Macintosh computers), iPad, iPod and iPhone. Although iTunes is also available for Windows but the performance is very poor on Windows 7/vista as compared to the performance on Mac OS X (iTunes rocks on Mac!). iTunes is very popular due to its Sync feature (i.e you can easily sync your music files between your devices), and purchasing music from iTunes Store (Digital Music Store by Apple) is very simple; everything is available right there on your Desktop or iPod or wherever you are. iTunes version 10.4 was released few days before with some new and exciting features. Why iTunes is the best audio/media player for Mac OS X Lion users ? it can play a lot of formats such as MP3, WAV, AAC, MPEG 4, AIFF (Audio Interchange File Format), Apple Lossless (or ALAC or ALE is an audio codec developed by Apple for lossless compression of digital music). The Sync feature of iTunes is simply great! You can subscribe to any Podcast using RSS feed URL, video podcasting is also supported. If any format is not supported by any player, throw it at VLC it will play seamlessly. it’s a free, open source and cross – platform media player (specifically popular for playing video files). 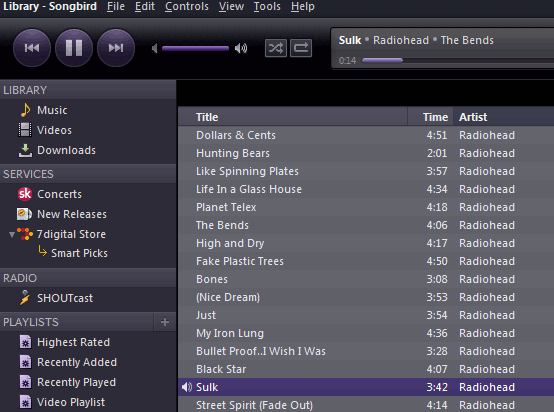 Songbird is a free and open source media player and web browser i.e a web player, available for Mac and Windows (Linux support was dropped in earlier versions). The latest version 1.9.3 is available for download.